In order to keep your Diesel engine running at optimum efficiency, you need to keep it maintained. 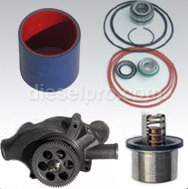 At Diesel Pro Power, we carry all the Detroit Diesel replacement parts you need to keep your Diesel engine functioning properly. 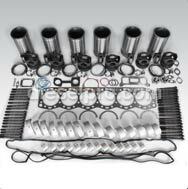 Whether you have an engine that is compatible with any Detroit Diesel engines parts or you need Series 60 14 L parts specifically, we have the parts for you. Some of the Series 60 14 L replacement parts that we carry in our inventory include Series 60 manuals, crankshafts, cylinder kits, and so much more. We’ve made repairing your Detroit Diesel engine easier than ever. 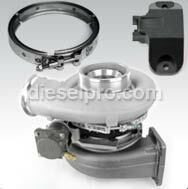 We carry the parts you need for your Series 60 14 L engine. All of our products ship 24/7 worldwide. 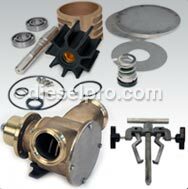 We’ve made our site user-friendly so that you can quickly find any type of Series 60 replacement parts you need. If you need assistance with anything or have any questions or concerns, you may contact us via email or telephone for a prompt response. We are more than happy to assist you with finding the products that you need. If we don't carry a particular product in our inventory, simply notify us so that we can take steps to remedy the issue.